"Hopefully all will get to experience this complete musician." 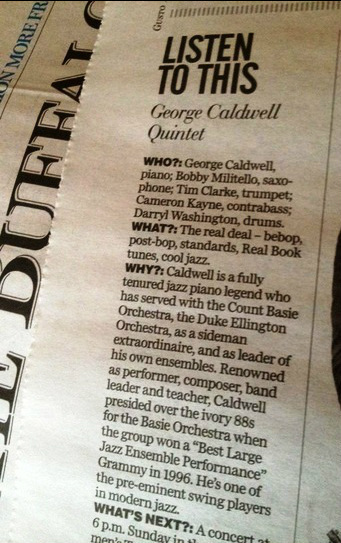 "George Caldwell is a true master of the piano and the consummate musician. Every note he plays vibrates with originality and carries a true sense of what this music is all about……….."SWINGIN' WIT' SOUL!!!" "George is a wonderful pianist and a great person, his personality and endless dedication comes through in the music - I love listening to him play." 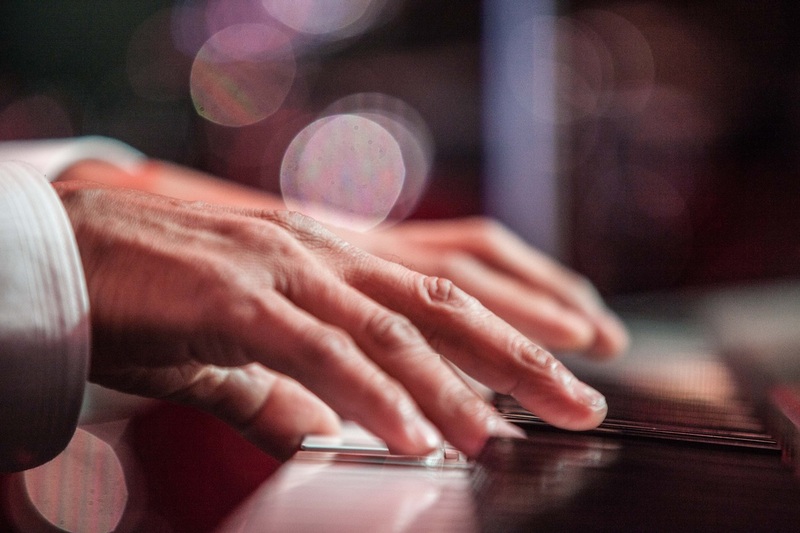 "Whether he is composing, arranging, being an educator or performing, he brings a wealth of knowledge, depth and passion to all endeavors, George’s harmonic prowess never ceases to amaze." "George has played with many of my musical heroes: Al Green, Albert King, George Benson and the Basie Band, just to name a few… though jazz is his calling, his true reverence for all things musical, gives him his own unique voice in this world."